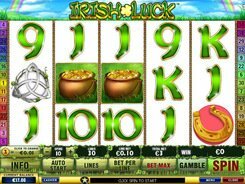 Irish Luck video slot is fitted with five reels and thirty win lines. It symbols are a horseshoe, a four-leaf clover, a golden jar, and other things that are considered to bring luck. 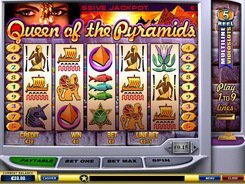 You can place up to 10 coins per line and choose the value from $0.01 to $5. The maximum wager per spin comes up to $1500. 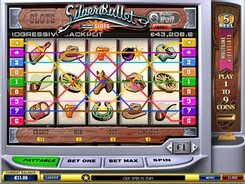 The jackpot of $10,000 is awarded for five red-hair ladies appeared on any enabled payline. 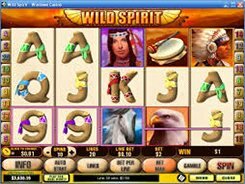 The Lady symbol is the wild icon in the Irish Luck slot substituting for other regular symbols. 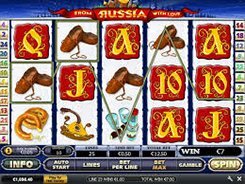 After every winning spin you may choose to double your prize. If you pick a correct card color, you double your money. If you pick a correct card suit, you increase your prize by x4. In case of an incorrect choice, you will lose your win collected in the triggering spin. The leprechaun represents the scatter symbol, with three of them triggering the Prize Pick feature. You have to pick one from five pots filled with gold. 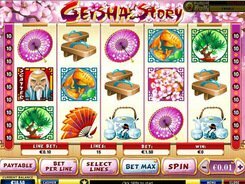 Each pot has its own prize, and the highest possible winning is a x100 times multiplier and 10 free spins. PLAY FOR REAL MONEY!